After 10 previous books of the “Otherworld” supernatural mystery series, New York Times bestselling writer Armstrong focuses on 21-year-old P.I./witch Savannah Levine. After five years of toiling as a mere “executive assistant slave” for her mentors at Cortez-Winterbourne Investigations, she’s more than eager to prove herself in the field by working a case solo—and this case seems right up her alley. Over a matter of months, three women have been murdered in Columbus, a small, economically depressed town in Washington State. All three bodies were found in the same abandoned building, and all three appear to have been the victims of some dark magic ritual. There’s evil afoot in Columbus. The only question is, who’s behind it? There are plenty of suspects. Most obvious is Cody Radu, the two-timing ex-boyfriend of one of the victims, known to be interested in the occult; or perhaps it’s his wife, who just happens to be a witch herself. Then there’s Alistair Koppel, the head of a local commune with a bevy of loyal female followers, and his ambitious manager, Megan, who also happens to be a Santeria priestess. After a little checking around, even the sheriff looks suspicious. If ever there was a small town full of dark secrets, Columbus is it. Worse yet, as Savannah hunts for the killer, it becomes increasingly clear that someone’s hunting her, too. Before she knows it, she’s a murder suspect herself, and worse yet, something’s starting to affect her own magic. Savannah’s sarcasm makes her an engaging and witty narrator, and the story plunges breathlessly forward, building tension as she chases clues and meets one sleazy or suspicious character after another. 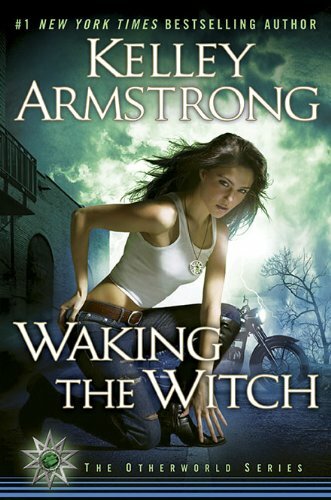 Despite a sort of “gotcha” climax that will work better for fans of the series than for new readers, Armstrong’s latest should entertain mystery fans as well as those who crave dark urban fantasy.